Pakistani journalists respond to the news that Declan Walsh has been expelled from the country. Declan Walsh, the Islamabad Bureau Chief for The New York Times, was ordered to leave Pakistan, on May 9, just before this year’s crucial elections. Given that Walsh lived in and covered Pakistan for nearly a decade – during his tenure at The Guardian, and then later with The New York Times – the order has come as a shock to the journalistic community both within and outside the country. 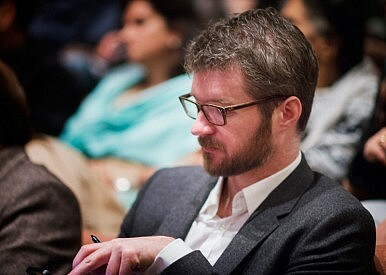 According to Malik Siraj Akbar, the editor of The Baloch Hal, a website that remains blocked in Pakistan, Walsh was “one of the most well-known and widely respected journalists” in Pakistan. “He was one reporter who covered Pakistan beyond the stereotypical lens of security, terrorism and fundamentalism,” Akbar told The Diplomat. In 2011, Walsh gave an enlightening talk at the Lahore University of Management Sciences (LUMS) on the “War on Secrecy: The Impact of WikiLeaks on Journalism” to a packed auditorium. At the time, the journalist was working as a correspondent for The Guardian. Personally, I found Walsh’s talk to be a fascinating one. He not only spoke about WikiLeaks and its impact on the world and the media industry in general, but also about his own personal experiences working as a journalist in Pakistan. But Walsh’s expulsion is only one example of the local government’s efforts to silence the media and curb freedom of speech in Pakistan. YouTube, for instance, has been banned in Pakistan since September 2012, when the trailer of the controversial production, Innocence of Muslims, was uploaded to the site. The trailer sparked protests across the country. This sensitivity to the outside world, it seems, is the heart of the matter.